Miike strays off the beaten path to do his own take on 'film-noir' (a tribute to Melville? 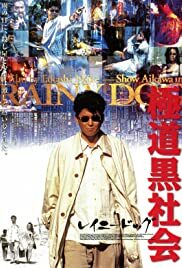 ): limited dialog, moody settings, and deliberately slow development all make for a unique movie in Miike's immense filmography. As surprising for its subtlety, pace, and precision as for its lack of the standard Miike moments, it is definitely not the director's best (for that see "The Bird People of China", "Ichi the Killer" or "Gozu"), but a great movie for a rainy Sunday afternoon, naturally if you don't mind the occasional yakuza violence. Could be read as the director's attempt at a character study (usually absent from his work) or an exercise in cinematic economy - in either case it is a movie well-above mediocrity, yet not quite reaching the level of masterpiece.